Antpur is a village in Jangipara community development bloc of the Srirampore subdivision in the Hooghly District in the Indian state of West Bengal. 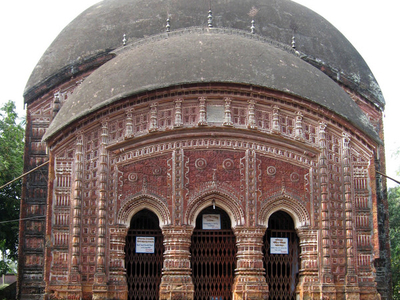 It is around 20 km from Tarakeswar, the famous temple town and railhead for the Sheoraphuli–Tarakeswar section. The most famous temple in Antpur is that of Radhagovindjiu with exquisite terracotta carvings depicting stories from all the 18 puranas. 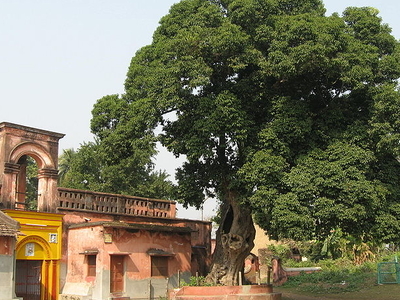 This 100 feet high temple was constructed by Krishna Ram Mitra, the Diwan of Bardhaman Raj in 1786 (1708 Shakabda). 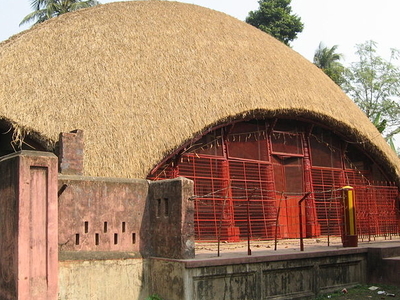 Its Chandi Mandap and Dol Mancha have beautifully crafted wood carvings. The period when the temple was built was curious. Muslim rule was ebbing out and the Europeans were making forays into the country. It is said that Krishna Ram Mitra built the temple to enthuse the Hindus. Terracota work which was earlier an exclusive preserve of Bishnupur artisans was no more so. While Radha and Krishna are predominant in the carvings, there also is the goddess Durga, whose worship had been revived in a big way by Nabakrishna Deb of Shovabazar Rajbari in 1757. Antpur's rural economy has developed due to the presence of the famous temples listed above. There is a constant stream of middle-class devotees who visit Antpur. The villagers are accustomed to vehicular traffic and other exposure to the life-styles of well-off Indians and foreigners. Rajbalhat, 20 minutes by bus from Antpur, is famous for handloom saris. Now, one has to go to Antpur by road either directly from Kolkata or from Tarakeswar or Haripal. Earlier Antpur was a station on the Howrah-Amta-Shiakhala-Champadanga narrow-gauge route of the Martin's Light Railways, a private rail service established in 1892. The rail company was shut down in 1971, and the tourist flow to the village declined gradually after that. Kolkata, India Puja Special Package Tour to Sundarban References 1 No Reviews Yet. Here's the our members favorite photos of "Towns & Villages in West Bengal". Upload your photo of Antpur!